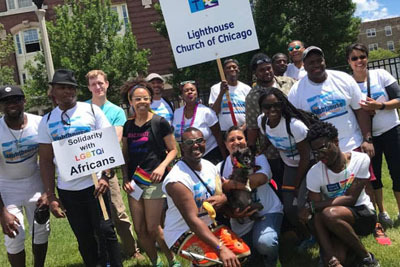 The Lighthouse is a multi-ethnic and LGBT-inclusive congregation that is, "passionate about Jesus and serious about justice." Our primary music is gospel, preaching is relevant as well as social-justice-oriented, and worship is lively. Worship begins at 11:00 am. If you're interested in coffee and conversation, please arrive at 10:30 am. Every Sunday we have a great time chatting.